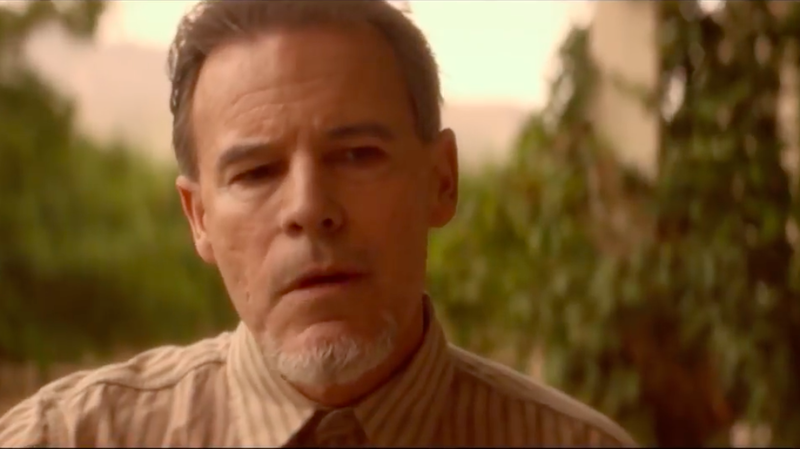 Andrew Divoff is an established and respected name in the acting business. He’s been a horror icon since his performance in 1997 (20 years ago!) as the evil djinn in Wishmaster and Wishmaster II. Of course he’s been in tons of other things–he has 103 projects under his belt. His latest one is ‘The Hatred’. Although he’s on a promotional tour, he was gracious enough to answer my questions via email. Thank you, Michael Kehoe for ferrying q’s and a’s back and forth. LK: Could you provide a little detail about your role in The Hatred? AD: I am Samuel Sears in The Hatred. He is caught between his past and the present he lives in. He has taken his family to a rural community where he hides his past and hides himself and his family away from the present with its liberal mores, and disrespect for family tradition. When a token from his past is delivered to his doorstep, all hell and hatred break loose. LK: How did you prepare for your role as Samuel Sears? AD: My preparation for Samuel was first and foremost finding his voice, his intonation. Until I can hear the voice of a role I play, I do not consider what his look might be. The role of Samuel Sears is linked to historical events, and so my preparation included delving into the history that molded his character. Once the voice and background are in place, the look of Samuel came about organically. LK: Are there any roles you regret taking? AD: I do not regret playing any role. I do, in hindsight, regret participating in “Night of the Living Dead 3D” which I acted in and co-produced. I was essentially a judas goat for the Director and executive production team who lied to me and to the crew about their ability to pay for the services they squeezed from the cast and crew. Masters of deceit and having no shame is how I will always think of that group…I’ll see them all in Hell! LK: Do you watch horror movies in your leisure time? Do you enjoy the genre? AD: Yes and Yes. As a matter of fact, I’m happy to say I was creeped out by more than a few scenes in “The Hatred”. LK: What is your absolute favorite role? AD: I do not have an absolute favorite role. I have several and all of them are favorites for different reasons. I remember fondly, how impressed my father ( a skeptic when it came to my career choice ) was with the role of Luis Cali in Toy Soldiers. I love the role of Djinn/Nathaniel Demerest in “Wishmaster” because it was my first time wearing full prosthetic make up in a role that featured a human and a demon side. My epiphany came when I realised – as the Djinn – that wearing the human “mask” was extremely uncomfortable. I have a special place in my heart for “Blackbeard” in “Magic Island” as it is one of the few roles I was able to share with my very young nephews and nieces and their peers and brought memories to the fore of when I was a kid watching the rebellious world of pirating unfold in “Treasure Island” with Wallace Beery and Jackie Cooper. LK: You always do an amazing job playing villains; what do you do to get into character? AD: I do not believe preparing for the antagonist in a play is necessarily different than preparing the protagonist’s role. Any acting role should be prepared for with great care and respect for the craft of acting. AD: I did enjoy working on “The Hatred”. The work was even more enjoyable because of my fellow actors, Nina Siemaszko, who plays my wife Miriam, Darby Walker, who plays my daughter Alice, Griffin Kehoe, who is a pleasant surprise in the role of Alice’s young friend. I also have to give a big shout-out to Tim De Zarn, who did a great job in the role of the sheriff. Mike Kehoe and Malek Akkad were instrumental in making the set a place for collaboration. LK: Have you ever made a horror movie that scared you? AD: There were “scares” that came during filming, and more specifically, regarding my choices as an actor. For instance, in “Graveyard Shift” I was conflicted in my choice as to Danson’s reaction to the”RatBat” coming for him as he tries to fire up his lighter. Danson, being the bully he was, could only react the way we would expect a conniving bully to act when he is up against it, all alone…that is; like a coward. I remember one time, walking on the Wishmaster set in full Djinn regalia while the cast and crew were at lunch and getting this very creepy spine tingling feeling that I was not the only presence on an otherwise cavernous set. There is no film I have participated in where I have not been surprised when seeing the final cut on screen. I love the “ride along” with the crowd, wherein there is an unspoken conspiracy to suspend belief and be affected – whether by fear, joy or deep emotion, in order to get the most out of the viewing experience. LK: Have you ever had to flat-out refuse a role? AD: I have never “had to flat out” refuse a roll. That situation would presume the actor, me in this case, was somehow compelled to do a role he or she had not bothered to vet. There have been times, only two, when I have refused to perform a scene the way it was set up in the script. I’ll leave it at that. LK: If you could say one thing to promote The Hatred, what would it be? AD: “The Hatred” is a film that allows the audience to participate in the unfolding story and to go along on the roller coaster ride set up by a creepy back-story and brought to fearful highs by a young cast who will absolutely make you believe the hellish whirlwind they’ve been thrown into.